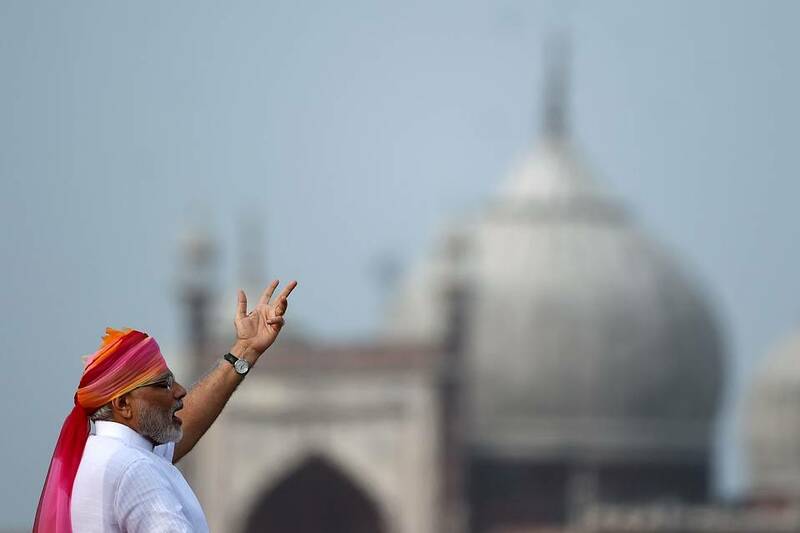 Indian Prime Minister Narendra Modi on Monday made the annual Independence Day speech at Delhi’s Red Fort. With the end of his colorful turban blowing in the wind, he outlined his government’s achievements and took a swipe at Pakistan. On India’s progress: “India is not 70 years old but this journey is 70 years long. On India’s problems: “If India has thousands of problems, it also has 1.25 billion brains that have the ability to resolve them. On the goods-and-services tax: “The GST regime is to become a powerful tool to strengthen the economy. ”On toilets: “More than 20 million toilets have been constructed in our villages. Over 70,000 villages have been free from open defecation. ”On stalled projects: “Blocking projects, delaying them and wasting money amounts to criminal negligence. I heard Prime Minister Modi’s address to the Nation on the Independence Day with interest and note the points in this news piece above and other media. On the whole his address has been positive and well received by the population at large. Mr Modi pointed out important issues such as inflation, GST, and economic growth etc etc ,,,,he knows that people are with him because he has made progress. This gives him confidence and also there is not much opposition. Though India has many problems, but since Modi has been the Prime Minister of the world’s largest Democracy, India’s image at the world stage has considerable improved and therefore counted as a progressive nation.